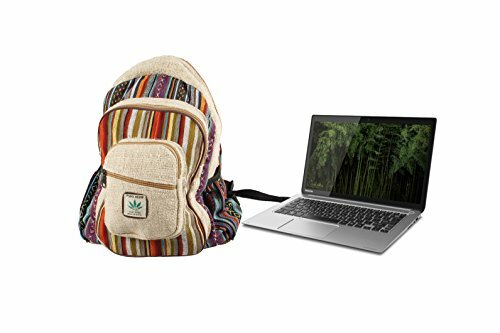 This beautifully designed large backpack is made from natural hemp fiber and natural heavy-duty cotton that are well known for their strength and durability. Inner lining has soft cotton material to make this bag sturdy and extra durable. 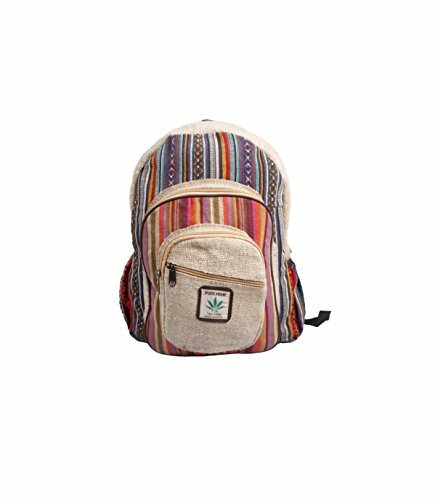 This multi-color stylish backpack has pockets of different sizes, useful for all of your different sized goods. 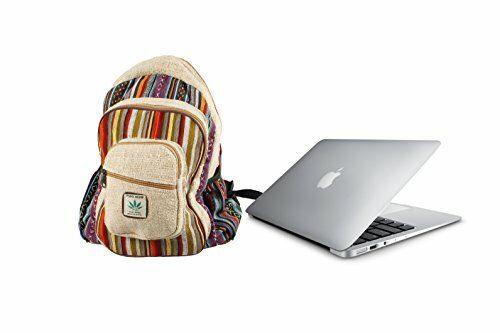 It has enough space to carry all your personal belongings including Textbooks, Laptop and other necessities. This backpack gets softer to touch as you use it more, yet it retains its durability. We use pure Hemp and Cotton. Both are a renewable resource and Eco-friendly. 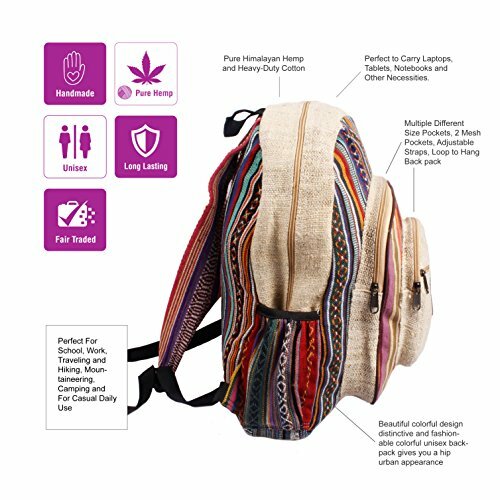 This distinctive and fashionable colorful unisex hemp hippie backpack is ideal for use on any occasion giving you a hip urban appearance. Our Hemp Bags are handmade in Nepal and are Fairly traded. 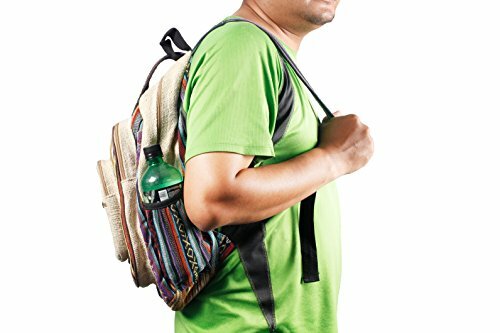 USES: This Unisex Bag is Perfect For School, Work, Traveling and Hiking, Mountaineering, Camping and For Casual Daily Use. 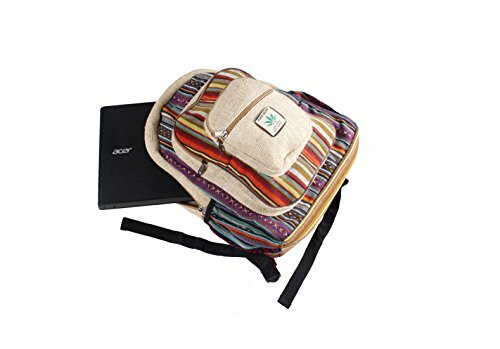 Perfect To Carry Laptops, Tablets, Notebooks and Other Necessities. If you have any questions about this product by Maha Bodhi, contact us by completing and submitting the form below. If you are looking for a specif part number, please include it with your message.